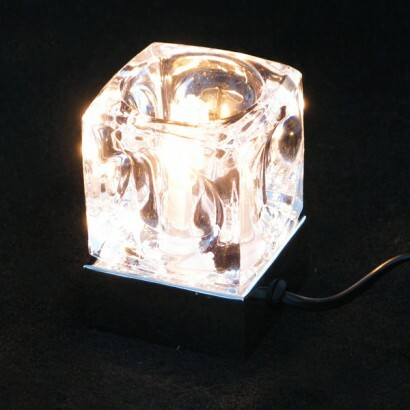 This contemporary and sleek table lamp designed in the shape of an ice cube has a touch sensitive chrome base that can easily be switched on to activate the four different lighting modes. 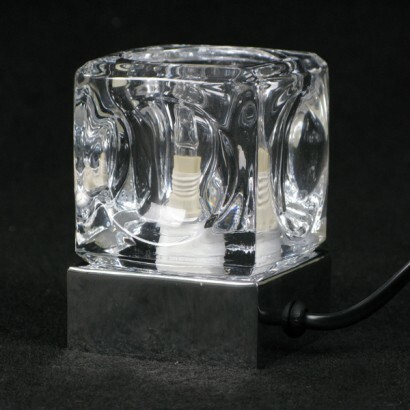 The four stage touch dimmer means that you no longer have to search for the light switch in the middle of the night as you can adjust the level of light required to suit your needs; for example the low level brightness can be used as a nightlight when going to the toilet during the night, the medium bright level can be used as a bedside reading light and the bright light level can be used to illuminate the whole of the room. 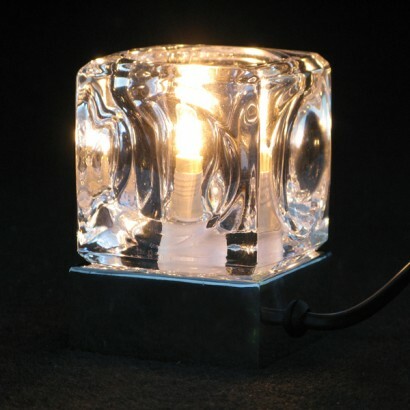 What this bedside light lacks in size, only measuring 10cm x 7cm x 7cm it certainly makes up for in its power, with the ability to illuminate dull areas with its adjustable warm white light aswell as being a great complementary light piece for any room in your home. 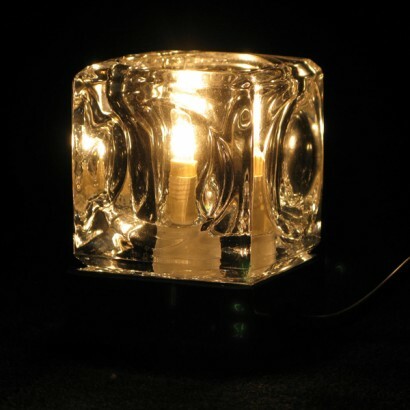 Please note - The halogen bulb heats up quickly so please take care when handling the lamp.